What should I read to my baby in the womb? The research confirms: the best kind of story to read to your baby in utero is . . . In other words, Rollicking! And Recognizable even from within the muffled environment of the womb. Oh, I can’t wait to show you the fun! 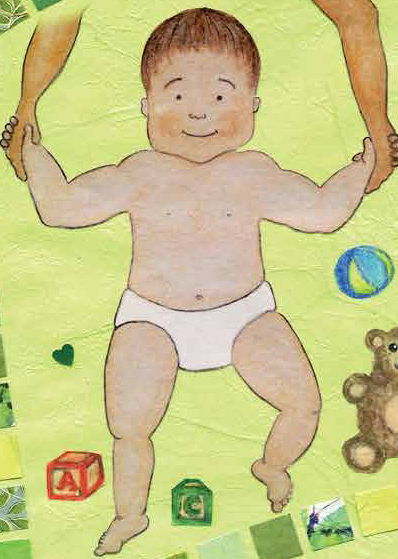 Yes, our very own baby-bump-shaped board book, Can’t Wait to Show You: A Celebration for Mothers-to-Be. And for just this week we’re offering it to you, our dear Reading Womb readers, for a special price. Go to Amazon and enter the promo code N26VPJ3D to get $1.00 off until May 31, 2014. Enjoy! Previous postHappy, Happy Mother’s (to be) Day!